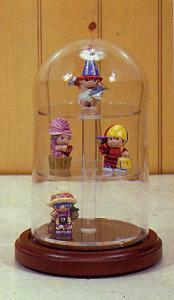 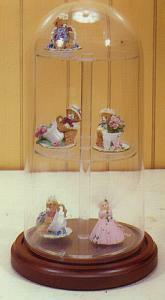 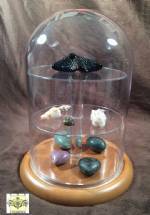 If you've got a collection of small figurines or thimbles, Fine Home Displays has the glass thimble dome or platform dome for you! 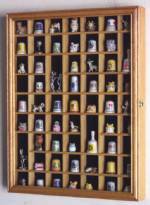 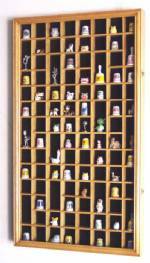 We've even got a selection of thimble display cases that hang on the wall and are can also hold small figurines and vintage toy displays. 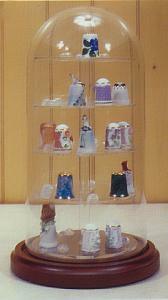 Check us out on Pinterest for tons of ideas on displaying the collectibles you love! 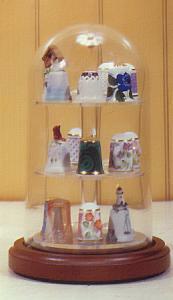 Glass Platform Dome - 4" x 7"
Glass Platform Dome - 5 1/2" x 11"
Glass Platform Dome - 8" x 12"
Glass Thimble Dome - 4" x 7"
Glass Thimble Dome - 5 1/2" x 11"